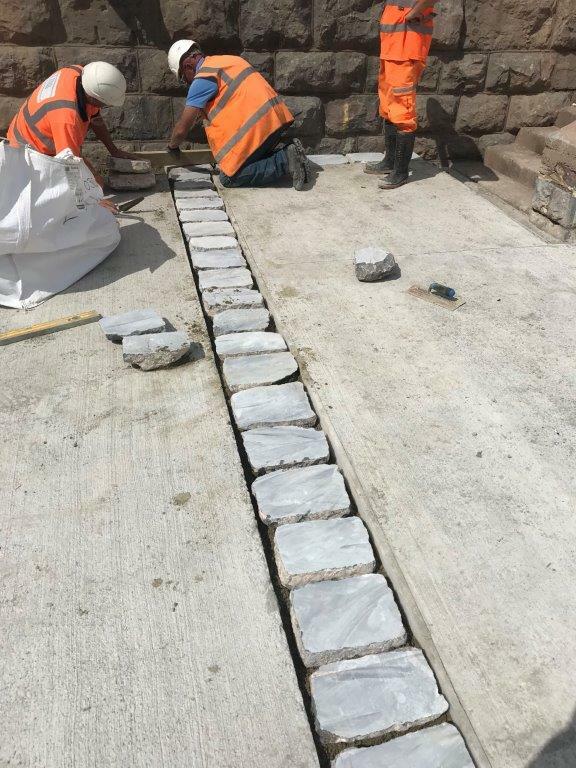 TMS have started laying the limestone setts from the reclaimed stone that were on the top of the old plinth, which had been broken out prior to the beginning of the works. 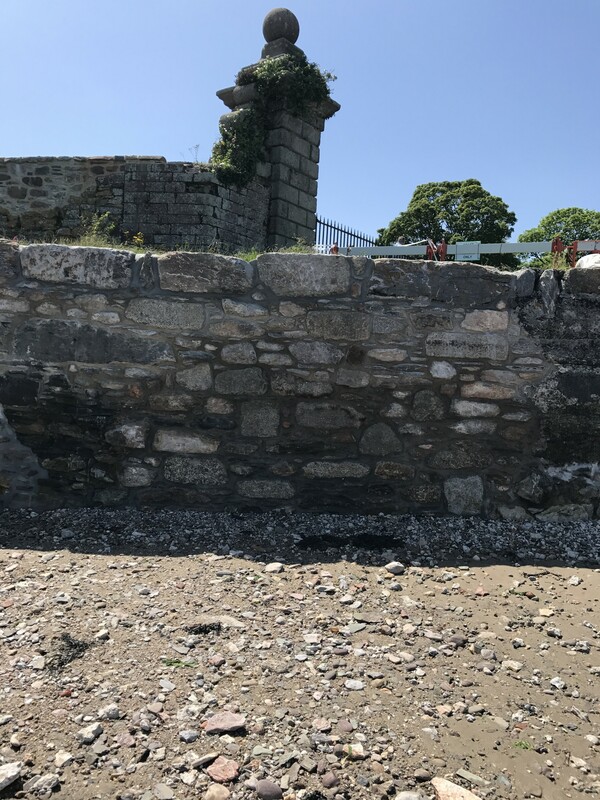 TMS were awarded the contract for the repair works to masonry walls in Cremyll, Mount Edgcumbe. 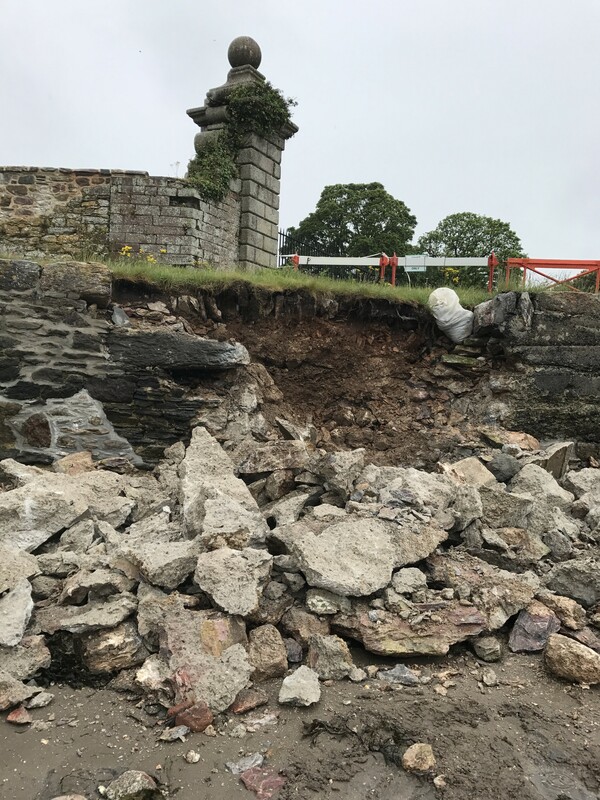 The repair works took place at four locations within Cremyll – Mount Edgcumbe Quay, Toll House Quay, Lower Lodge and Garden Battery Beach. 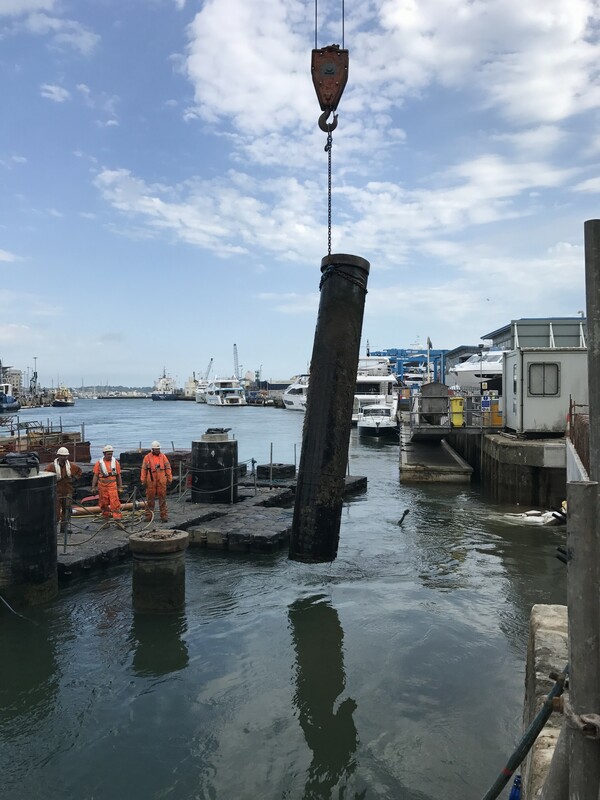 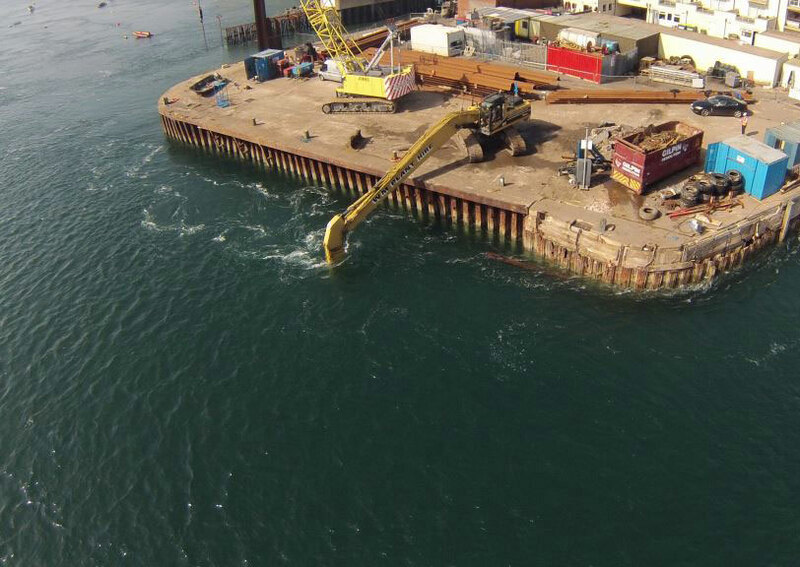 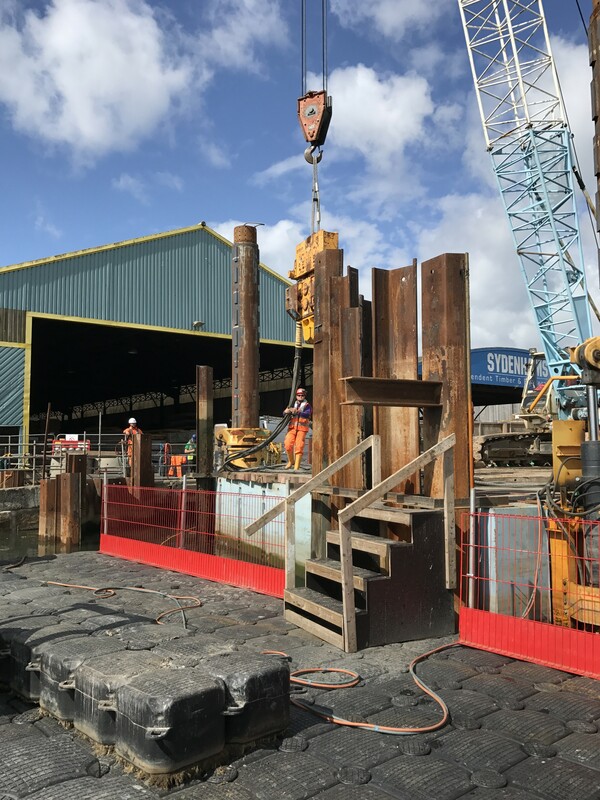 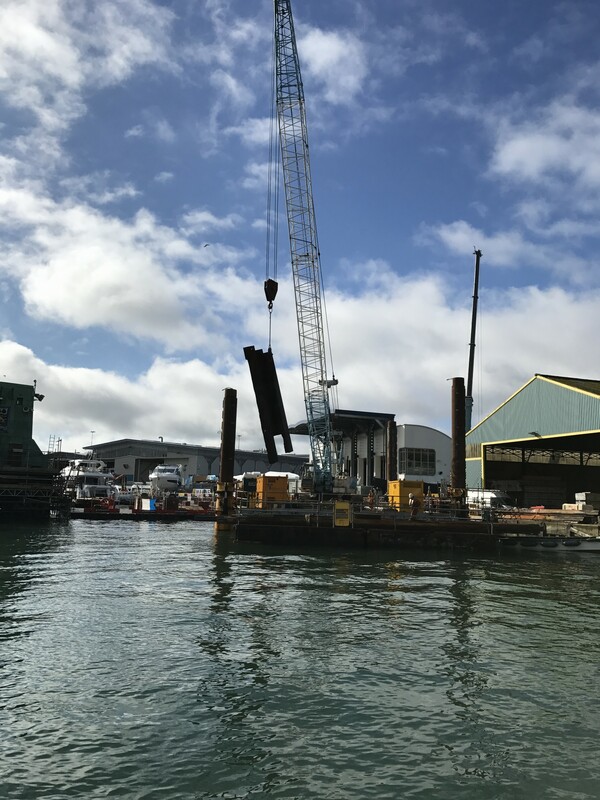 The works were carried out principally from the main work area at Mount Edgcumbe Quay, with operatives working at the other locations as and when the tides permitted. 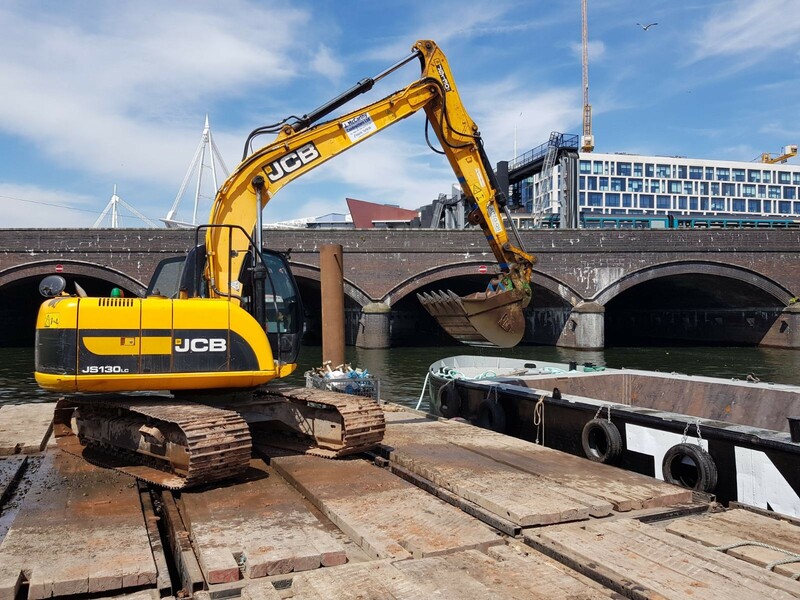 At Mount Edgcumbe Quay, the project comprised of material recovery, bulk excavation of material, reconstruction of the wall and surfacing works in order to fully repair the damage to the wall. 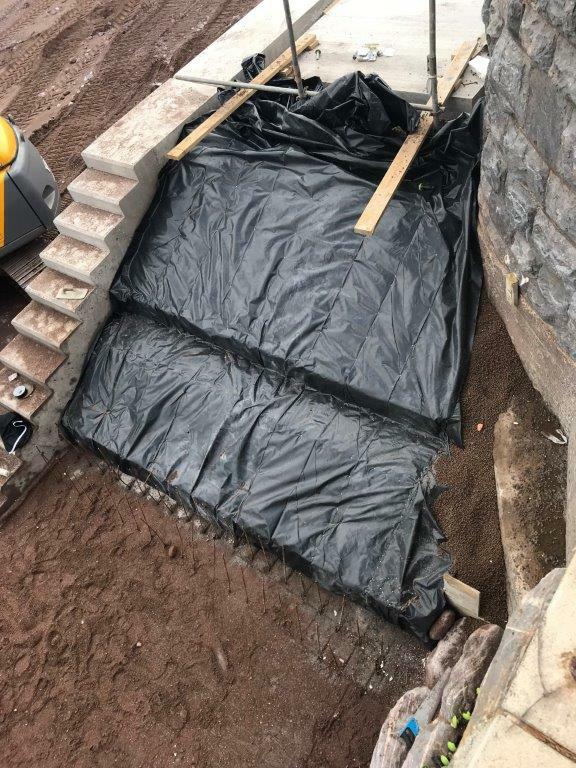 Vegetation removal, mortar repointing and basic masonry reconstruction was completed at the other three locations. 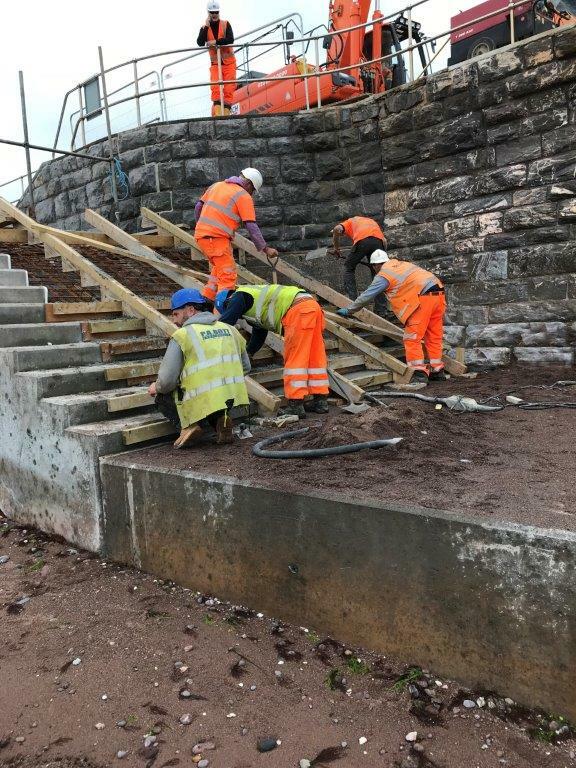 The total value of the contract was approximately £400,000 and took 10 weeks to complete, 4 weeks ahead of programme. 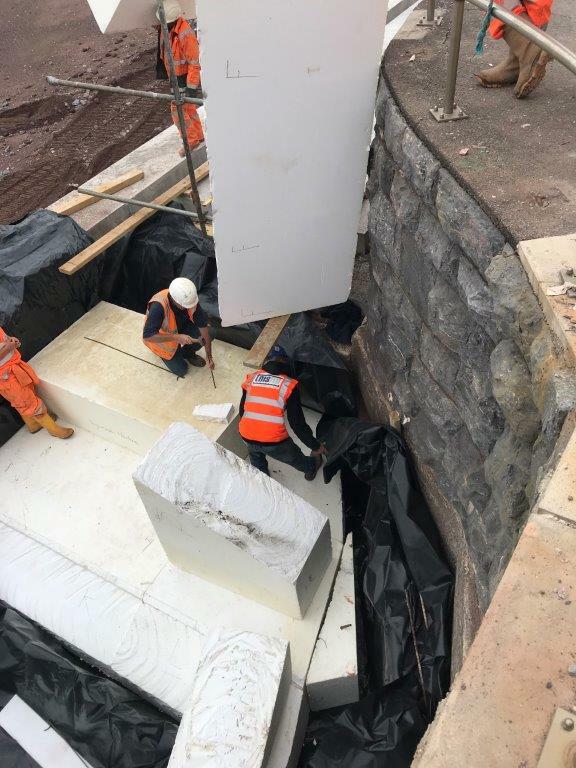 The images show the different stages of the wall rebuild carried out at Mount Edgcumbe Quay, where the failed section of wall was rebuilt from foundation level to the top to match the existing wall either side and retain the original appearance of the wall. 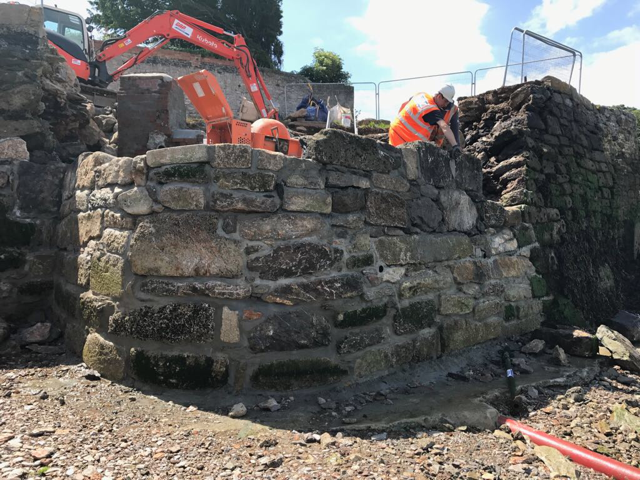 Here we have a before and after picture of a section of wall that TMS have repaired after it had failed down at Cremyll, the wall has been fully rebuilt using locally soured stone and reinforced with concrete. 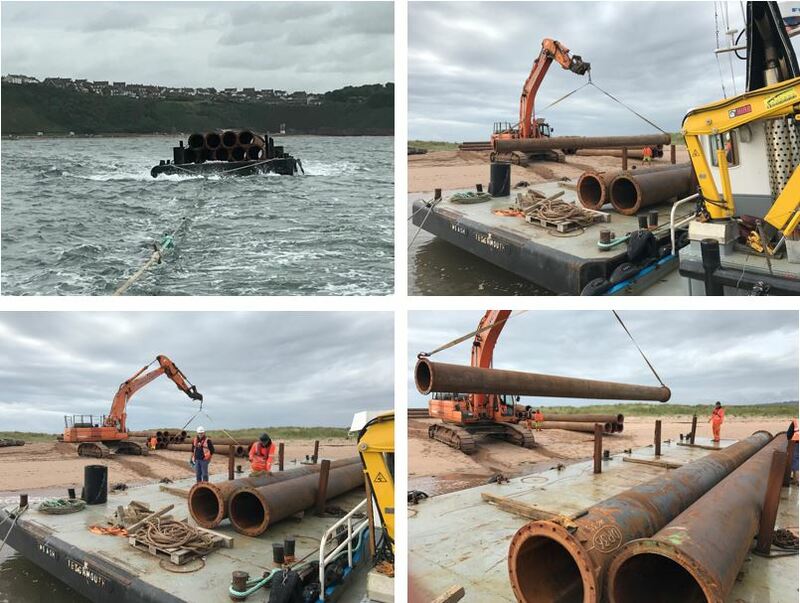 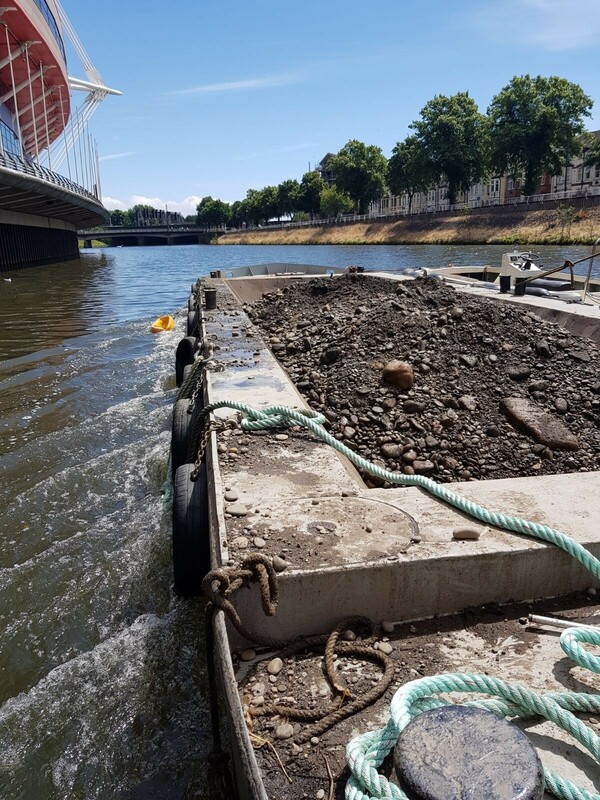 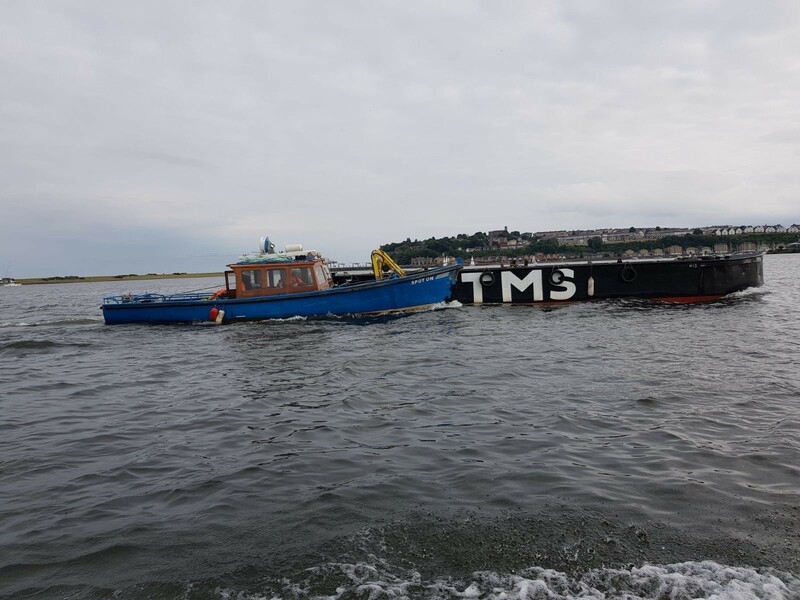 TMS are transporting dredging pipe from Teignmouth to Dawlish Warren using our Flat top barge Ash, with TMS Annamone towing.